I love learning, and today was no exception. Fortunately, I was able to talk my friend Steven Anderson into trying out Blab and learning with me. Bonus was that he agreed to write a quick blog post with me as well! Blab is a live-broadcasting app that streams video to a “Public” or “Unlisted” stream (host’s choice). With 4 “Open-Seats” available in each Blab, topic-driven conversations are shared with a live audience. Interaction also occurs via text through live audience participation. While anyone can call-in (or ask) for an “Open-Seat”, only the host can approve who receives the spot. Moderating participants came in useful when we were Blabbing; people from Australia to Korea all wanted to join in the live conversation. Blab also allows users to record all or a portion of their live stream. Sharing is easy; the video can be embedded, tweeted, posted on facebook, and even shared to the user’s YouTube channel. Finally, like other social media platforms, “following” and “followers”, help you be part of the conversations that matter most to you! Interviewing Experts and Primary Sources – Students are no longer limited by location to the information they have access to. Technology provides opportunity and means for learning to expand beyond the walls of the classroom. Blab provides an easy way for students to connect with and interview experts, gaining new information from primary sources. Live Demonstrations of Science Experiments – In science class, we certainly want students to get hands-on when it comes to experimenting. But there are cases where, for safety or other reasons, keeping them at a distance is best. Through Blab the teacher can be conducting the experiment remotely and have the rest of the class join, share and comment through a Blab. The best part? Experiments no longer have to be tied to the classroom? So if there are investigations where more expertise is needed the teacher can go to that location (like a local university with more resources) while students view from afar. Student Presentations To Authentic Audiences – Many times the work students do lives between themselves and their teacher. The hours of work they spend creating and crafting is sometimes seen by their classmates but rarely anyone else. With Blab, students have a live, authentic audience to present their findings or project to. Using the chat feature they could solicit feedback or opportunities for growth. And since Blab supports up to 4 video feeds a lively discussion could also take place, face-to-face, with reviewers from across the world. School or Community News Broadcast/Journalism – Live streaming of school events, sharing of news in the district or community, all provide students the option of reading, writing, and speaking in authentic and engaging ways. Pairing Blab with student journalism provides a multimedia avenue in which students hone life skills. The ability to embed the final video or upload to YouTube give students a way to share their work long after the Blab is over. Students Practicing Reading/Literacy Skills – Students, especially younger students need opportunities to read and practice their growing literacy skills. Blabs could be set up between an Elementary classroom and a Middle School or High School class where younger students practice reading to older students. The reverse could also happen too. As students are developing those critical literacy skills they need to hear them modeled. So the older students could read to the younger students as well. All of this recorded for feedback and reflection later. One on One Conferencing/Peer Feedback – With any type of feedback, be it from reviewing a paper or project or looking at overall learning objectives and goals, having a peer review process in place in the classroom can help students think more intrinsically about their own thinking. Using Blab, students can peer review each other and record that feedback for analysis or use later. And the peer doesn’t have to be a classmate. Since Blab is global, peers can be anyone, anywhere in the world. Cross Curricular Projects/Group Work – Group work is at the heart of a collaborative classroom. However, what do students do when the bell rings for the day? They still have work to do together but are going off to their different homes. Blab can bridge the gap between group members allow them to chat, share links and talk through their work. For the teacher, sessions could be recorded to review the thinking and dynamics of the groups later. Creating a Culture of Awesome – Video provides a powerful glimpse into the lives of our students. 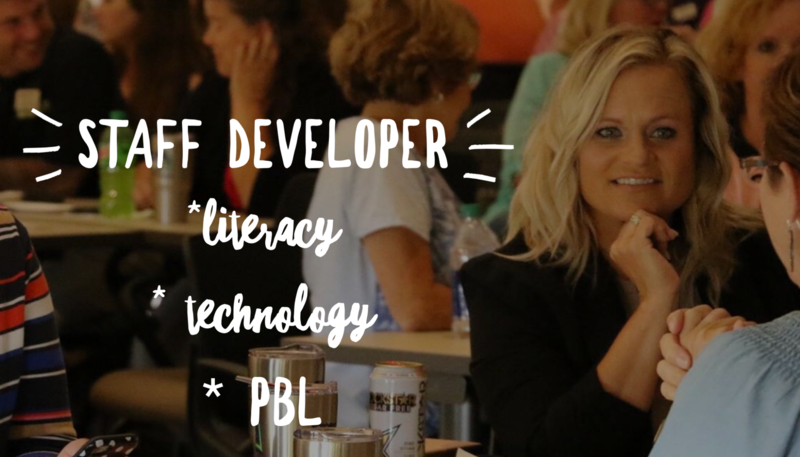 Using Blab as a way to spotlight students, or other educators in the district, shines light on all of the good happenings in the school. By allowing students to create the video, ownership in the message which transfers to a positive climate and culture of a school heightens student voice and models a positive way social media can be used to make an impact. Field Trip Recaps – Video reflection through Blab can help kids sort through experiences and anchor their learning. After field trips, speakers, and other academic experiences; students can follow-up with a video response. Done with a small group of peers, Blab is a perfect app in which students can share their learning. Download the Blab app onto your phone, and students are now mobile videographers, sharing their learning along the way. To Create Shared-screen or tutorials – Have students create tutorials using Blab. Whether demonstrating Minecraft in the classroom or how to write a Shakespearean Sonnet, when students are doing the teaching, students are also the ones doing the learning. Have an idea to help make Blab better? Share here, I Blab, the uservoice forum to share your thoughts! Visit amish sheds in fredericksburg va and we will provide that perfect shed and garage for you.